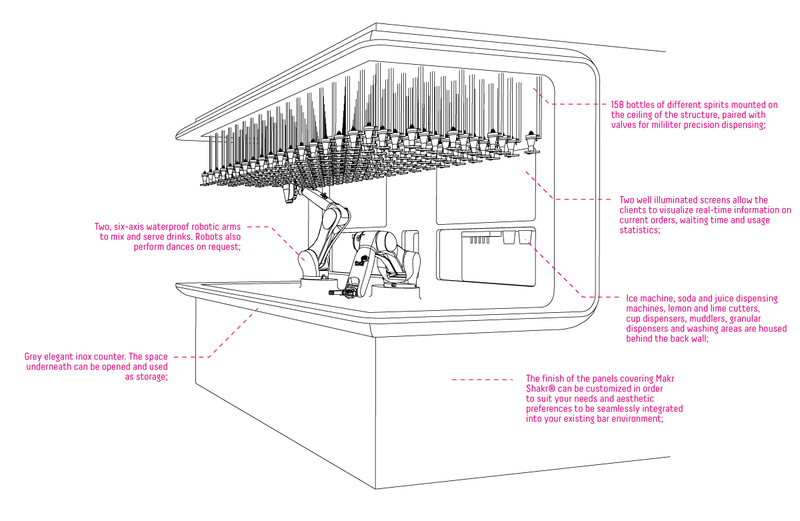 Makr Shakr® goes on tour: thanks to our fully re-designed and re-engineered mobile version, the robotic bar experience can now be delivered to almost any event and location upon request. Arriving ready to use, the new system now on a trailer with wheels, can be easily pulled by hands and placed wherever you prefer. 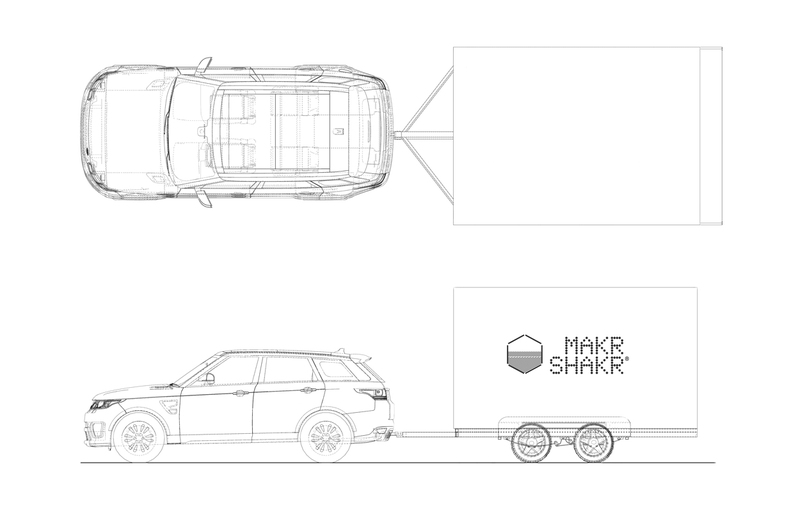 Thanks to the brand new version, Makr Shakr® mobile unit is now smaller, lighter and easier to transport all around the world. With a production capacity of almost 80 drinks per hour and 4 delivery spots, clients can enjoy an unlimited number of drinks and from December 2018, also different types of wine and beer.